It’s that time of year again; no, I don’t mean the start of football season (although I have high hopes for my fantasy team this year). It’s time to set your priorities to hit your end-of-year numbers, and to start looking ahead to your marketing and sales strategy for 2017. 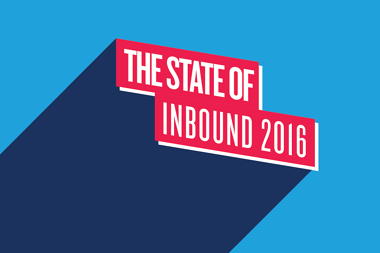 This year’s State of Inbound report, produced by inbound marketing thought leader HubSpot, aims to take some of the guesswork out of your planning. The report takes a look at the most pressing priorities, challenges, and new strategies of the world’s foremost marketers and salespeople. The report covers everything from top challenges for today’s sales professionals, to the current state of inbound advertising, and the future of search marketing. This post will focus on a fourth section of the report – content marketing and the rising popularity of new content formats. Based on findings in this year’s report, it’s clear that to be successful, marketers need to start thinking about how they can diversify their content strategy to extend beyond their websites. Here are four mobile marketing (marketing on or with a mobile device, such as a smart phone) tactics to consider in your marketing plan for the coming year. Email marketing is no new channel for veteran digital marketers. Designing your emails for a mobile experience, however, is becoming increasingly important. While most conversions still happen on a desktop, 55% of all email opens now happen on a mobile device. And according to the State of Inbound report, email is still the preferred method of communication for 88% of senior-level executives. Subject lines are getting shorter: shoot for between 30-39 characters to ensure they’re fully visible on most smartphone screens. Keep your design simple: too many graphics may muck up the overall message of your email, and may not render ideally on all mobile devices. Make sure your font size is readable: most email providers recommend between 17px-22px for optimal readability. Also strive for full-width, one-column text blocks, when possible. Calls to action should be obvious and easy to thumb-click, with buttons between 44px2 and 48px2. Keep your content concise: markets are becoming saturated with on-the-go skimmers, so getting to the point is more important than ever. With more than 90% open rates on Short Message Service (SMS), and engagement rates up to eight times higher than email, B2B marketers would do well to figure out how SMS marketing might fit into their strategy in the coming year. 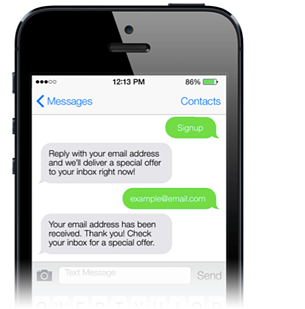 For marketing automation users, many SMS texting services (like Join By Text, Call Loop, Tatango, and TextUs) allow you to integrate SMS marketing into automated, multi-touch campaigns and email workflows to keep your lists engaged and your marketing campaigns extremely dynamic. This also makes marketing efforts outside your website easily trackable and connected to your marketing database. A client of ours recently attended an industry event where a speaker used SMS marketing to promote the release of his upcoming book and to gain subscriptions to his weekly blog. After his talk, participants were given a simple 5-digit number and code, and were prompted to enter their email address to start receiving weekly blog updates. Similarly, B2B companies can look to SMS marketing to promote new content offers, upcoming webinars, or events, or to grow their blog or newsletter subscriber lists. If you’re anything like me, you’re listening to a podcast any chance you get. Whether I’m in the car, at the gym, or winding down before bed, I almost always turn to podcasts for entertainment, insight, and new perspectives/information. While podcasting might not seem like an obvious choice for B2B companies, they can be a great way to establish your company as a thought leader in your industry. Behind social platforms like YouTube, Facebook, and Instagram, podcasting seems to be gaining steam with B2B marketers, with 15% of respondents saying they plan to incorporate podcasting into their marketing program within the next 12 months. Additionally, in 2016, 64% of Americans age 12 or older who have ever listened to a podcast said they were listening “most often” on a mobile device, compared to 55% in 2015. Podcasting is also a fairly simple and cost-effective marketing tactic, so getting started won’t require a lot of additional budgetary support from your boss. Subject matter: unlike other tactics, podcasting should steer away from being overly promotional or sales-y. Instead, focus on subject matter that educates and entertains your audience. Frequency: Like any subscriber service, setting a cadence with your audience is important. Even if you’re posting a podcast the last Friday of every month, subscribers should know when to expect your next episode. Promotion/distribution: Many podcasting platforms will allow a transcript or description for every episode. Use that opportunity to promote additional content or a subscription. Be sure to utilize other platforms, like your social media channels, to alert your followers to a new or upcoming episode. Look for more on how to get started with podcasting from this blog in coming weeks. If you own a smartphone and use the Internet, there’s no doubt that you’ve noticed how much video content is being put out on a regular basis. Among the top priorities for surveyed companies in this year’s report, 48% plan to add YouTube to their marketing efforts over the next 12 months, followed by 39% with Facebook video. Instead of blogging, try vlogging: use graphic stats, pull-out quotes, or whiteboard drawings to narrate a blog topic, rather than a traditional blog post. Interview another thought leader in your industry, or a coworker on a subject that your buyers are interested in. Spice up the average customer testimonial with a video testimonial instead. Give a recap of an industry event or tradeshow you attended. Record product demos or short clips where you talk more in depth about your services. Use videos for recruiting and branding to showcase your company culture, team building activities, tours of your office, etc. Make webinars available on your video sharing platforms after you’ve given them. 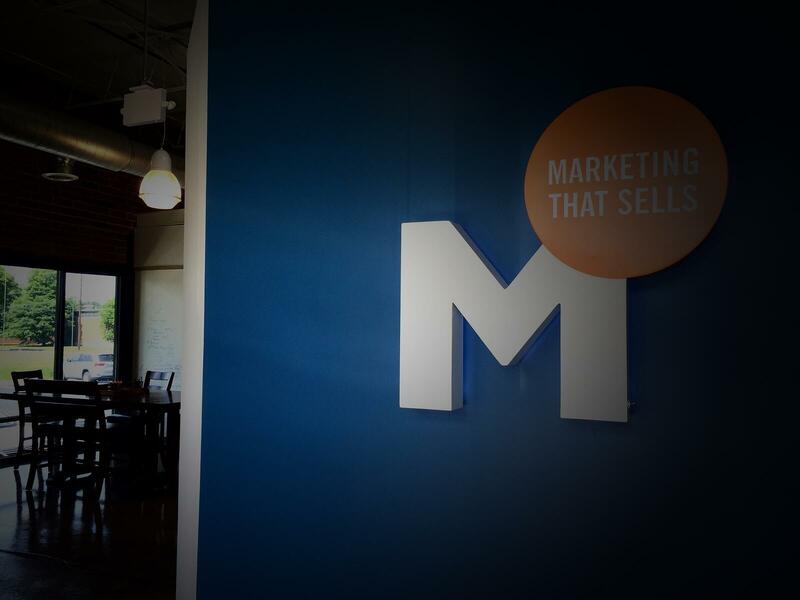 Whether you’re already dialed in on your marketing strategy for the coming year or you’re just focused on finishing out this year strong, there’s still time for B2B marketers to fit some of these out-of-the-box (or website) tactics into their marketing programs.